*To print/download the Countertop Care and Cleaning Information CLICK HERE! To get the longest life and preserve the beauty of your natural stone, follow the simple tips listed below! Clean stone surfaces with a neutral cleaner, stone soap, or a mild liquid dishwashing detergent and warm water. Most acidic kitchen cleaners are not recommended. Similar to any item cleaned in your home, an excessive concentration of cleaner or soap may leave a film and cause streaks. Follow manufacturer recommendations. Use a clean rag mop on floors and a soft cloth for other surfaces for best results. Rinse the surface thoroughly after washing with the soap solution and dry with a soft cloth. Change the rinse water frequently. In the bath or other wet areas, soap scum can be minimized by using a squeegee after each use. To remove soap scum, use a non-acidic soap scum remover or a solution of ammonia and water (about 1/2 cup ammonia to a gallon of water). Frequent or over-use of an ammonia solution may eventually dull the surface of some stone types. In outdoor pool, patio or hot tub areas, flush with clear water and use mild bleach solution to remove algae or moss. Products containing lemon, vinegar or other acids may dull or etch calcareous stones. Scouring powders or creams often contain abrasives that may scratch certain stones. Many commercially available rust removers (laundry rust stain removers, toilet bowl cleaners) contain trace levels of hydrofluoric acid (HF). All stones, including granite and quartzite, will be attacked if exposed to HF. Do not mix ammonia and bleach. This combination creates a toxic and lethal gas. Sealing does not make the stone stain proof; rather it makes the stone more stain resistant. 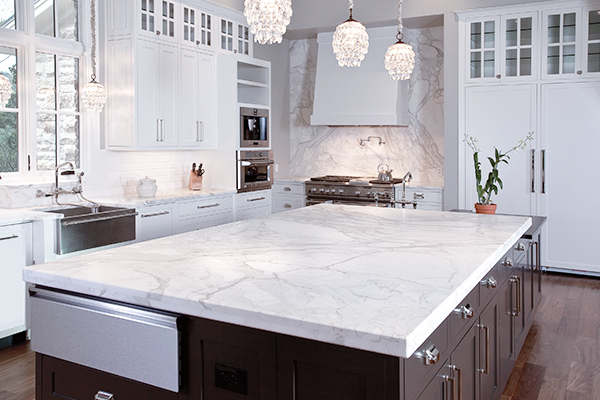 Before sealing consult with Design Superstore, many stones and quartz do not require sealing. If a sealer is applied in a food preparation area, be sure that it is non-toxic and safe for use. Consult with your sealing manufacturer specific to the type of sealer and frequency of use recommended. Identifying the type of stain on the stone surface is the key to removing it. Stains can be oil based, organic, metallic, biological, ink based, paint based, acid based. If you don’t know what caused the stain, consider likely staining agents that may have been present. Below are common stains and how to remove them. Older stones and smoke or fire-stained fireplaces may require a thorough cleaning. When the smoke is removed, there may also be some etching (due to carbonic & other acids in smoke). Commercially available “smoke removers” may save time and effort.. Some materials will etch the finish but not leave a stain. Others will both etch and stain. Contact Design Superstore or call a professional stone restorer for refinishing or repolishing etched areas. Learning how to clean quartz surface countertops takes no time at all—thanks to the stain-resistance of this remarkable material. 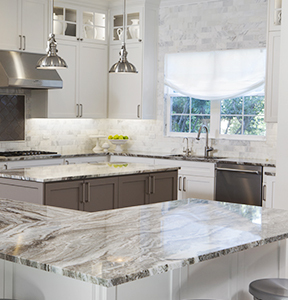 Quartz surfacing is a tough, non-porous, chemically resistant, high-performance surface that elevates residential kitchen aesthetics with the natural beauty of quartz. Just use water and a paper towel with simple, care, quartz surface will retain its radiant, lustrous appearance for many years. For routine cleaning, simply wipe down your countertop with a damp cloth or paper towel and, if necessary, a small amount of non-bleach, non-abrasive cleanser. 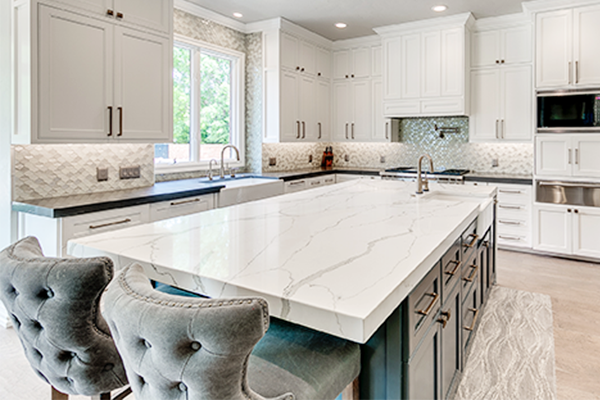 Even though quartz surfaces resists permanent staining when exposed to liquids (such as wine, vinegar, tea, lemon juice and soda) or fruits and vegetables, you’ll want to wipe up food and liquid spills as soon as possible. For stubborn or dried spills, use a nonabrasive cleaning pad. Maintaining quartz is easy. Simply wash with a soft cotton cloth and warm water, use a mild soap if desired. 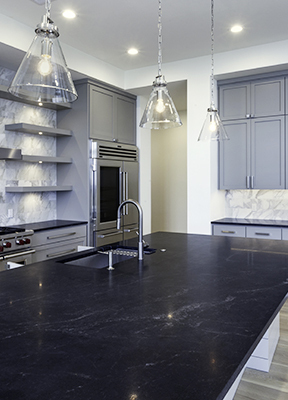 Do not expose, in use or otherwise, quartz countertops to abrasive or strong alkaline or acid or free radicals or oxidizers or the like (whether high, neutral or low pH) cleaners. Various chemicals are corrosive and/or erosive in their ability to attack any structure including quartz. Be very aware of these potential damages to your surface. Quartz is not heat proof, chemical proof or fracture proof in any form. Be aware of damaging exposure to these potential damaging acts upon your countertop. Do not use or expose quartz to such products including, but not limited to bleach, oven cleaners, Comet®, Soft Scrub®, SOS®, products with pumice, batteries, paint removers, furniture strippers, tarnish or silver cleaners, or the like. Do not use abrasive or harsh scrub pads. Do not apply any sealers, penetrants or topical treatments to quartz under any circumstances. 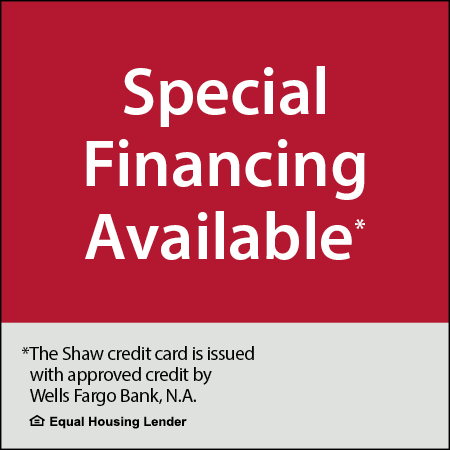 Please see your manufacturer’s warranty for more information and maintenance guidelines.